:: Not everybody wants to escape the 9-5 world. :: Not everybody who is deeply unhappy in the 9-5 world makes the leap to self-employment or any other kind of cubicle liberation. :: Not everybody wants to start a blog. Or launch a website. Or create an Etsy shop. Or write a newsletter for an audience of raving fans. :: Not everybody believes it’s possible to liberate themselves from unfulfilling work and build an online presence that sells their good and services, all while tapping into their innate talents and skills and abilities. :: Not everybody is comfortable sharing their art – whether that’s writing, graphic design, fine art, photography, business & marketing strategy, or any other kind of creative pursuit – in a public venue. :: Not everybody feels the fear and does it anyway. :: Not everybody chooses to feel utterly alive doing what they love to do, despite being terrified a crash and burn scenario could be imminent. :: Not everybody decides to take action on their dreams despite the naysayers who proclaim it’s not possible to do work you love and be well-paid for it. :: Not everybody believes that creative sovereignty is a worthwhile and achievable goal. :: Not everybody keeps marching to the beat of their own quirky drummer when it would make much more sense to cave and get a job. :: Not everybody reads blogs like this one for marketing advice/how-tos/inspiration. (Thanks for that, by the way). :: Not everybody believes they have to ask permission from some kind of “gatekeeper” to do their thing, pursue their art, and sell it. 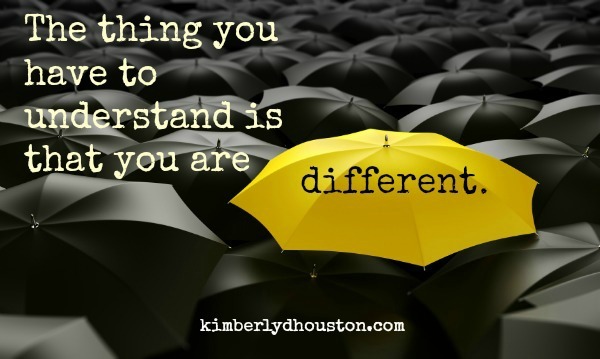 The thing you have to understand is that you are different. Embrace it. Celebrate it. Revel in it. Fall in love with it. What would you add to this list? What do you believe/do/practice that goes against the accepted wisdom about how to earn a living or pursue your creative work? Please share in the comments! 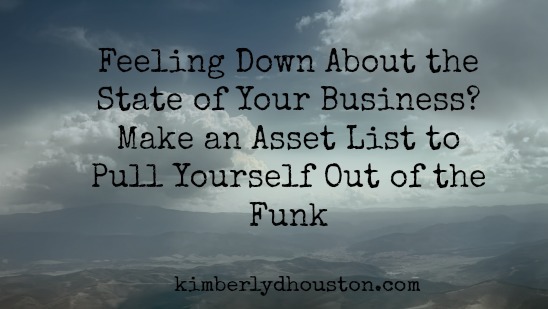 Want to launch a business, be happy, and live life on your own terms? Then I have the book for you. 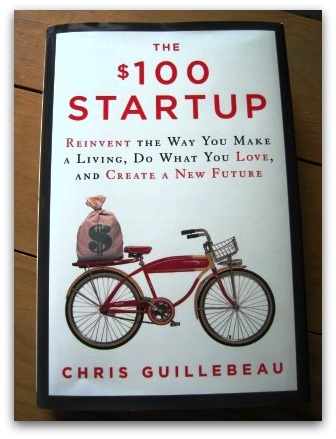 The $100 Startup: Reinvent the Way You Make a Living, Do What You Love, and Create a New Future, by Chris Guillebeau, is a guide to building and launching a successful microbusiness based on your skills and interests, and yes, if it’s something people will pay for, your passion. I’ve read this book twice – the first time in a single weekend, then later, over the space of couple of weeks. Inspiring stuff here. Collecting data from over 1500 individuals who have built businesses earning $50,000 or more per year from a small investment (in many cases less than $100, hence the book’s title), Guillebeau chose 50 of the most inspiring stories to focus on in the book. The book is more than a series of case studies – it’s actually a blueprint for launching a small business around something you love that others care about. It covers how to test your market, how to write a one-page business plan, how to create a killer offer, and how to launch, among other things. Checklists and templates are included; I loved the 39 step product launch checklist, for example – very handy. Case studies include everything from a small business transcriptionist to a day-care marketer and a maker of ketubot (custom designed Jewish wedding contracts) to an event planner who puts on art workshops. If you think what you do – or want to do – can’t be turned into business that supports you and brings you joy, then I encourage you to read this book. For my money, the most important distinction he makes is that a successful business exists at the intersection of something you love that you can get paid for, something Guillebeau calls convergence. That second part is very important – that you can get paid for. There are several case studies in the book that illustrate this point, like the story of Benny Lewis, a world traveler who loves to immerse himself in other cultures and learn their languages, which he’s figured out how to do in a very short time. Benny says he gets paid to learn other languages, but what he actually gets paid to do is help others learn languages using methods he’s perfected as a result of his own travels over the years. At the end of the day it’s passion plus a skill that provides a solution to a problem that produces a successful business. Once you’ve got that nailed, you can use the exercises in this book to help turn your idea, skills and passion into a business. And if you’re just starting out and don’t have your big idea mapped out just yet, this book will help you see what’s possible. Fun, freedom and fulfillment, here we come. Learn more about the book and get inspired at The $100 Startup. And check out Chris’s site here, including his blog, The Art of Non-Conformity: Unconventional Strategies for Life, Work, and Travel.